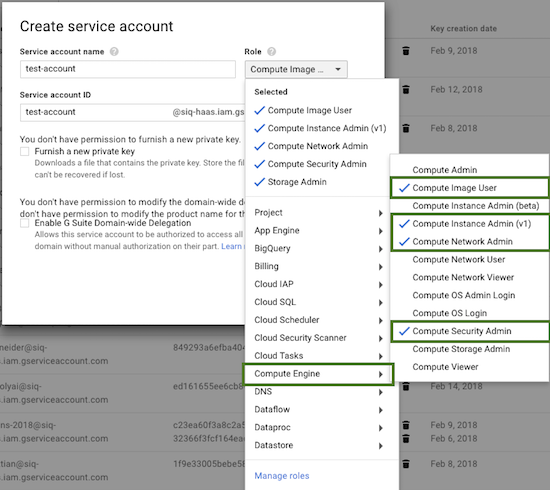 As a prerequisite for creating a credential, you must create a service account on GCP and generate a JSON key for that account. 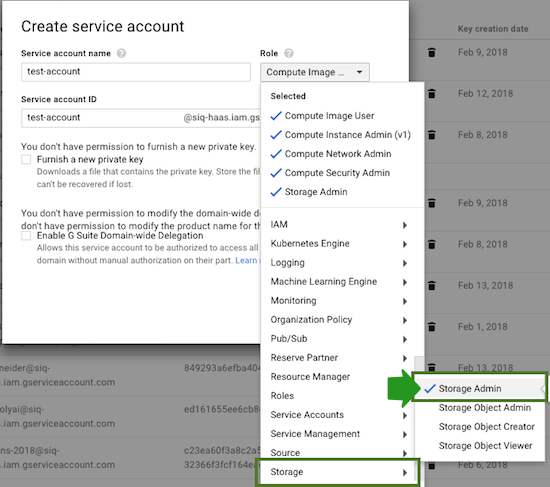 A user with an “Owner” role can assign roles to new and existing service accounts from IAM & admin > Service accounts, as presented in the following screenshots. For more information on creating a service account and generating a JSON key, refer to Google documentation.